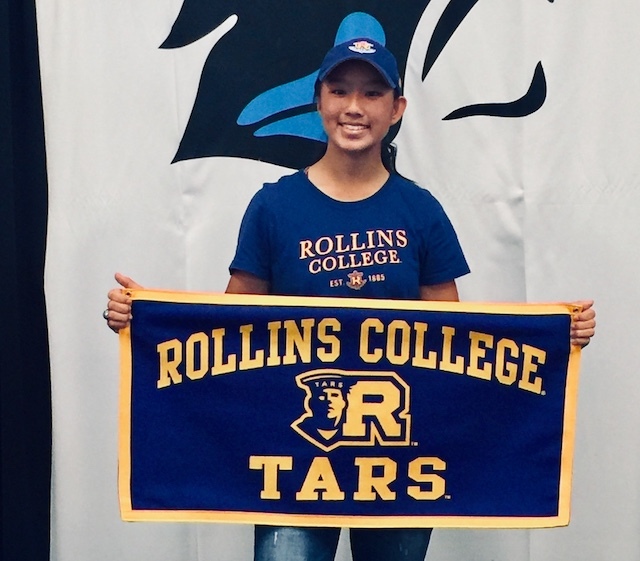 The Rollins College women’s golf team signed Liza Eubanks to a National Letter of Intent for the 2019-2020 school year on the first day of the NCAA’s early signing period, Nov. 14. Eubanks is a senior and honor student at Starr’s Mill High School and is the reigning AAAAA individual state champion and leader of her high school team, which won back-to-back state championships in 2017 and 2018. Rollins, a private, liberal arts college founded in 1885, is the oldest post-secondary institution in the state of Florida. With an enrollment of just over 3,200 students, the school is consistently ranked as one of the top colleges in the south and has been ranked as the best college in the nation for both academic and athletic standards. The Rollins women’s golf program is the most successful in NCAA history with 13 national championships and three alumni in the World Golf Hall of Fame. “We are so excited to have Liza join our program in the fall,” said Rollins Director of Golf and Head Women’s Coach Julie Garner, who will be inducted into the Women’s Golf Coaches Association Hall of Fame in December. Eubanks expects to graduate with honors from Starr’s Mill High School in May of 2019.